Wishing you all a Happy Easter and for my Jewish friends well over the Passover. I took part in a group swap on Facebook. 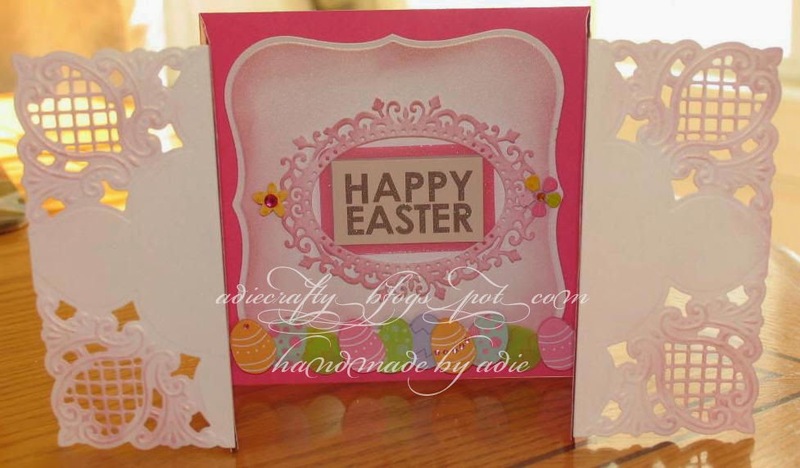 We had to send our partners Easter card embellishments I had a very generous partner and received lots of goodies. I made this card with some of the stickers she sent me. The gate fold is from Marianne Designs and the centre die cut is Spellbinders, the frame in the middle is from Tattered Lace. I have done a bit of blending which I am not very good at lol.